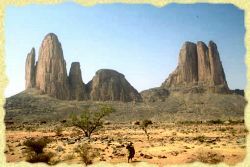 :: Mali Guinna Expeditions :: Welcome! .:. 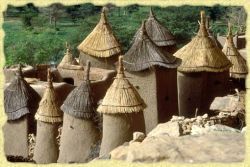 Your Travel Guide in Mali .:. Welcome to Guinna Expeditions ! Guinna Expeditions is a Malian receptive Company and Tour Operator, located in Bamako, Mali. We are owners and managers on place: a Malian partner, professional in the field with more than twenty years of experience. 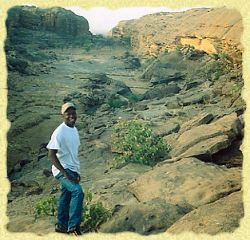 We organize adventure and discovery trips in Mali and in neighbouring countries: Burkina and Ivory Coast. 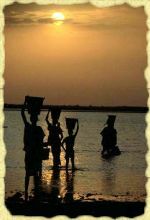 We invite you to take some moment to see what GUINNA EXPEDITIONS and Mali can offer. We have put many pictures on the pages and useful contacts which can give references for other informative sights. We think it’s of great importance to have as many information as possible to understand and appreciate our experiences. Our itineraries can include TREKKING, CAMPINGS, DESERT LIFE and RIVER CRUISES. We also offer cultural tourism, birds watching and wildlife; in other words a tourism of development, and we can arrange meetings with Dogon, Fulani or Touareg and so on and so forth. GUINNA EXPEDITIONS is a Tour Operator engaged to give best services for best prices and you will never regret the experience, because we will make every trip with GUINNA EXPEDITIONS an opportunity of wonderful souvenirs. All the itineraries that we suggest can be changed according to your will. Thus don’t hesitate to contact us with questions. We will be very delighted to make with you the trip of your dreams. Copyright © 2010 Mali Guinna Expeditions - info @ maliexpeditions.com - www.maliexpeditions.com/english - All rights reserved. No reproduction allowed of any material on this site without written authorization.